Archeological finds show that Tibet as a habitat of human being can date back to 5000 years ago. However, the recorded history started from the 7th century, when Songtsan Gampo, the 33rd Tibetan king, united his kingdom and sent his commissioner Sambhota to India to study Sanskrit, who on his return invented the present Tibetan script based on Sanskrit. In the seventh century the Tibetan King Songtsen Gampo unified the tribes on the Qinghai-Tibet plateau and set up the Tubo Dynasty. King Songtsen Gampo married Princess Wencheng of the Tang Dynasty in 641, after which the Tang emperor conferred on him the titles of "Imperial Son-in-Law Governor", "West Sea Prince", and "Treasured Prince." 70 years later another princess Jincheng of Tang Dynasty married the king of Tibet (Tride Zhotsan). Both of the princesses brought advanced technologies, crop seeds, and skillful workers to Tibet. In 1247 Sakya Pandita, the chief of the Sakya Buddhist sect in Tibet, and his nephew Phagpa, conferred with the Mongol Prince Godan, grandson of Genghis khan, at Liangzhou (in present Gansu province) on issues concerning Tibet giving its allegiance to the Mongol Khanate. In 1279 Kublai Khan put the whole China under his ruling. He grated the Sagya regime the power to administer Tibet. Tibet became an administrative region under the direct jurisdiction of the central government of China. The Ming Dynasty (1368-1644) basically followed ruling systems introduced since the Yuan Dynasty. In carrying out a policy of pacification, the Ming Dynasty granted the title "Prince of Dharma" or "Prince" to eight government and religious leaders in the Tibetan areas. During this period of time, the Tibetan areas and the Central Kingdom maintained frequent economic and cultural exchanges; the relations between the Tibetan race and the other nationalities in the Chinese family developed further. During the following Qing dynasty, the central government of China further strengthened its administration of Tibet. 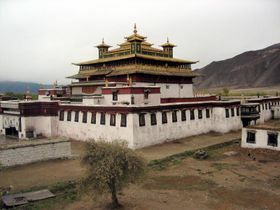 In 1652 the fifth Dalai Lama paid his respects in Beijing to the emperor, who, in the following year, granted him the title of "Buddha of Great Compassion in the West, Leader of the Buddhist Faith Beneath the Sky, Holder of the Vajra, the Dalai Lama" and a certificate on sheets of gold inscribed and a gold seal of authority. 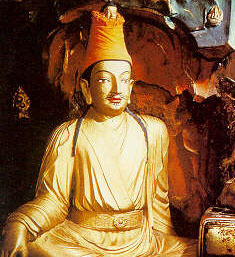 In 1713 the 5th Panchen Lama was granted the title of "Panchen Erdeni" as well as gold. From that time on, the Qing central government officially recognized the political and religious status and powers of the Dalai and Panchen Lamas. In 1912, after the founding of the Republic of China, the central government termed itself a republic of five nationalities - Han, Manchu, Mongolian, Hui, and Tibetan, with a unified territory and the Provisional Constitution of the Republic of China stipulated. The territories of the Republic of China include twenty-two provinces as well as Inner and Outer Mongolia, Tibet, and Qinghai. In 1912, the title of the 13th Dalai Lama was restored and "the Loyally Submissive Vicegerent, Great, Good, Self-Existent Buddha of West Heaven" was decreed by the president of the Republic of China. On May 23, 1951, delegates from the Local Government of Tibet and delegates from the Central People's Government signed "The Agreement on Measures for the Peaceful Liberation of Tibet". The Fourteenth Dalai Lama and the Tenth Panchen Erdeni cabled the central authorities to express their support of the Agreement. In 1959 the Central government forces clashed with the uprising of CIA-supported Tibetan dissidents. The 14th Dalai Lama fled to India in exile with the help of CIA. On September 1, 1965 Tibet Autonomous Region was set up. The feudal serf system in Tibet was abolished completely, the life of common Tibetan people turned over a new leaf.